A cautious all-clear for the Everest Base Camp trail. “None of the major suspension bridges appear to be affected by new geotechnical hazards as a result of the earthquake”, says the report of a group of mountain guides and engineers of the US based agency Miyamoto International which is specialized on earthquake damage. “Much of the trail and most of the rock retaining walls (both above and below) the trail are undamaged. 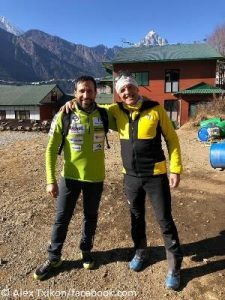 We have observed very little foundation damage to buildings.” At the end of June the team had assessed the condition of the trail from the village of Lukla to Everest Base Camp after the devastating earthquake of 25 April and the aftermaths. 83 percent of the observed lodges and houses were given a green tag, meaning that they were undamaged or hardly affected. And the others? “It was found that most of the buildings that were damaged can feasibly be repaired. Building owners have started reconstructing damaged buildings”, says the report. 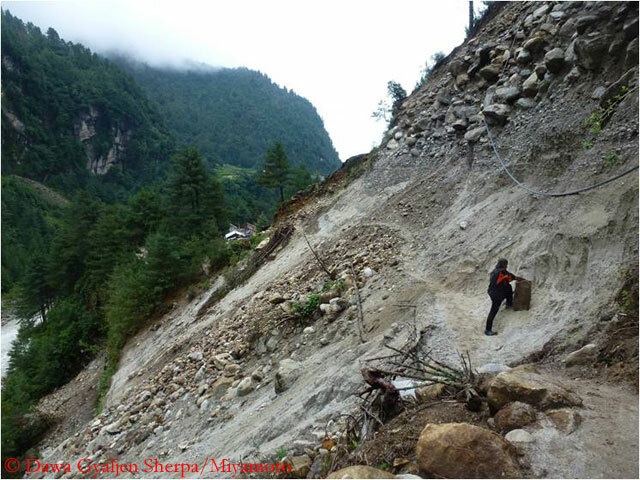 Heavy damage was particularly found in the lower parts of the Khumbu valley, where the small villages of Toktok and Bengkar are faced with a great hazard of debris flows and rockfall. The experts recommend relocating parts of the villages and the trekking route to the opposite side of the river Dudh Kosi. The team advises as well not to stay overnight further up the valley in the village of Shomore that was hit by rockfall. In some places of the trail signage is necessary to inform trekkers about hazards like rockfall or landslide, says the report. 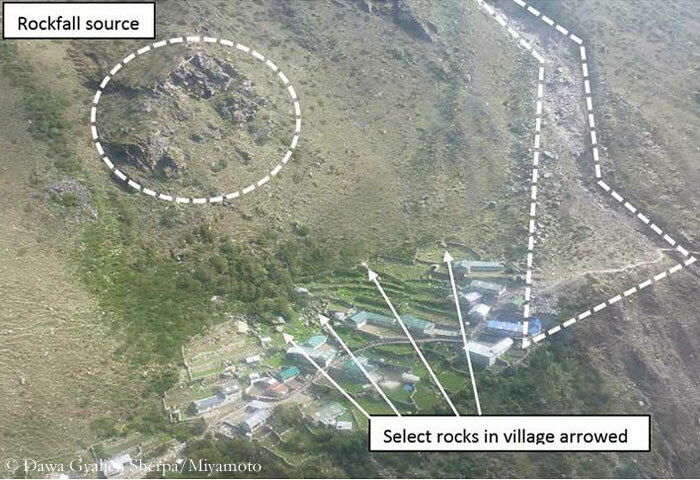 For the entire trail to Everest Base Camp the experts recommend a more detailed study after the monsoon period. “The local teahouse owners are rapidly reconstructing the lodges and most of the works have been completed”, Dawa Gyaljen Sherpa writes to me. 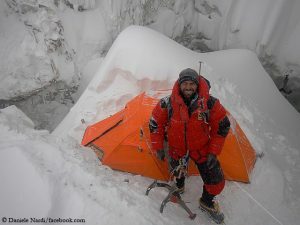 The Nepalese mountain guide was a member of the assessment team. 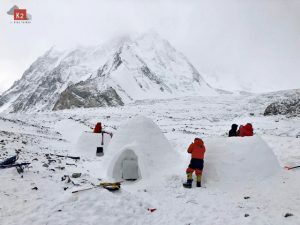 “The local people are hoping that tourism will be back in Khumbu.” The Nepalese government said it would move quickly to make the trails safe. “It is our top priority to repair the trails. We’ll relocate them wherever they cannot be repaired”, said Tulsi Prasad Gautam, an official of the Tourism Ministry. Before the earthquake, usually about 40,000 Western trekkers per year had been visiting the region around Mount Everest. The fall trekking season will start in September. 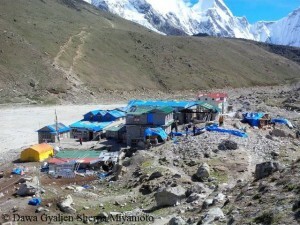 Dawa Gyaljen Sherpa points out to me that most of the people in the Khumbu region who were hardly affected by the earthquake live off the main trekking route and are not engaged in mountain tourism. “They still need the aid of relief organizations”, says Dawa. It’s not over. Don’t forget Nepal! P.S. 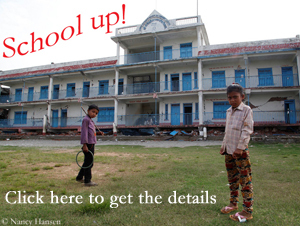 : I want to remind you of our donation campaign “School up!”. We want to rebuild the “Gerlinde and Ralf School” in Thulosirubari in Sindhupalchowk District that was particularly hardly hit by the earthquake. The school was heavily damaged and has to be demolished before it can be rebuilded. You find the bank details for your donations on the right side of my blog. Thank you for your support!